Weekend Shuttle from IU Bloomington to Chicago. Picks up at Kmart East, on the East side of Bloomington. Passengers may park their vehicle at Kmart if they choose. Shuttle drops off at the METRA Calumet Train Station where passengers can ride a train into Millennium Train Station in the heart of Downtown Chicago! Construction on State Road 37 between Bloomington and Indianapolis can cause unpredictable delays exceeding one hour in our schedule. We apologize for any inconvenience and will do our best to route our buses to avoid heavy delays when possible. 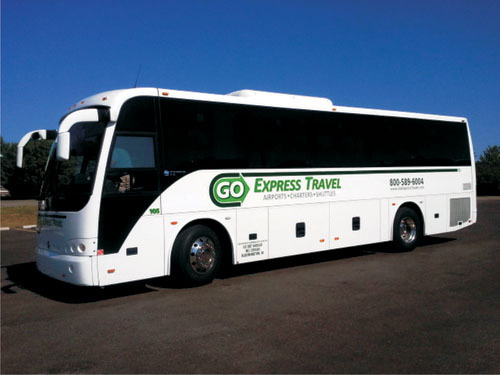 Thank you for choosing GO Express Travel! Everything you need to know about the Chicagoland Shuttle. Need ideas about what to do while in Chicago? Take a moment to browse a number of favorite hot spots in Chicago.